A big thank you to everyone to took part in events to celebrate St Andrew’s Day. Over £800 was raised for to St Andrew’s Hospice. Well done to Taylor Gilfillan on her fabulous dancing and to Isabel Evans on her fabulous baking! A highlight was seeing one of our S1 pupil’s face light up when “talking bagpipes” with our wonderful piper, Mrs Connor’s dad. The young apprentice left the master promising to practise his pipes really hard and play them for us at the coffee morning next year. St Andrew’s Day was marked this year with a number of events which were organised by Mrs Connor and the pupils of Andrew House. A whole school “Tartan Day” was held on Friday 27th November with pupils being asked to donate £1 to be allowed to have no uniform and Tartan themed clothing on. On Monday 30th there was a staff coffee morning at interval with former pupil Michael Clark entertaining us with his bagpipes. A “Scots Corner” stall was set up for pupils at lunchtime where they could buy tartan ribbons, bows as well as Scotland tattoo’s and cupcakes. 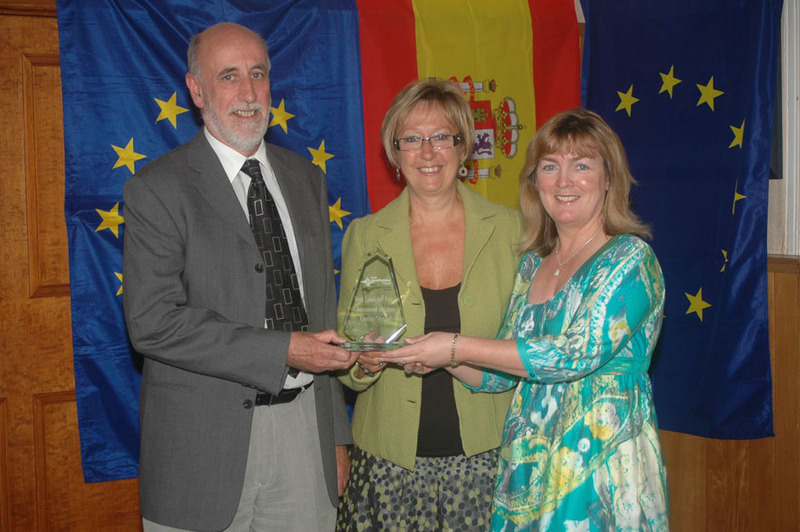 The events were enjoyed by all with the proceeds being donated to St Andrew’s Hospice. Friday 27th November will be Tartan Day, a whole school non-uniform day with participating pupils asked to wear tartan or Scottish-themed clothing. Pupils are being asked to donate £1 and a donation for our Christmas Fair raffle. No tins please! Monday 30th November is St Andrew’s Day, and former pupil, Michael Clark will returning to pipe for the staff coffee morning. A Scots Corner stall will be set up in The Zone at lunchtime for pupils to purchase tartan ribbons, cupcakes and receive tattoos and face painting. All money raised will be donated to St Andrew’s Hospice. Pupils and staff celebrated St Andrew’s Day with a non-uniform Tartan Day, and a coffee morning for staff, complete with piper. Andrew House pupils made tartan ribbons to sell, and pupils were asked to donate both £1 and something for the Christmas Fair in order to take part. All proceeds to St Andrews Hospice. 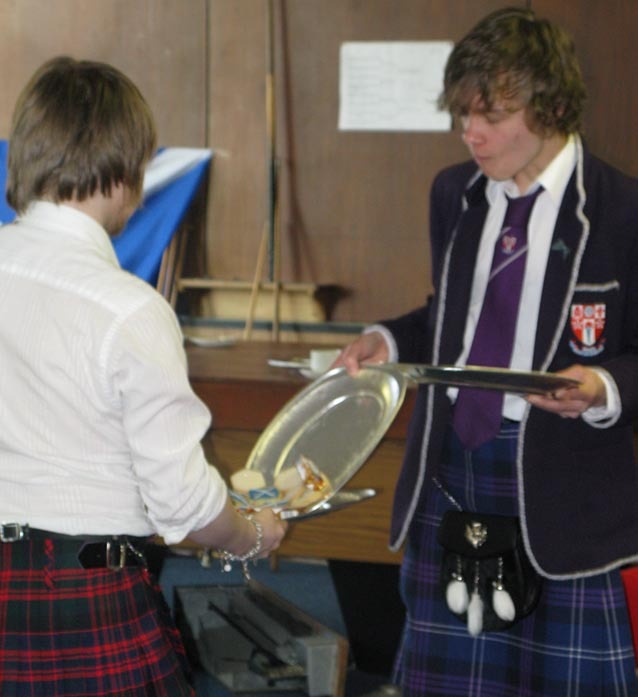 Our Lady’s celebrated St Andrew’s Day in style with piper, saltires, kilts and tartan all over the place. 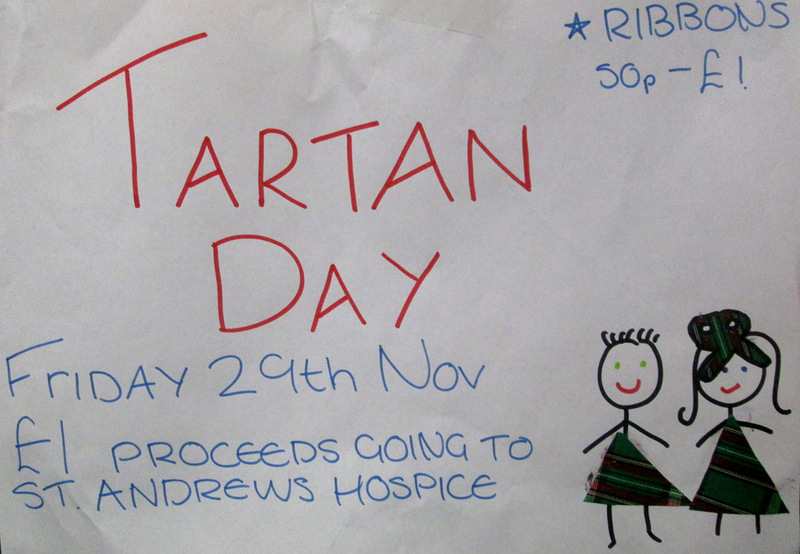 Andrew House held various fundraising ventures, including selling tartan ribbons, organising Tartan Day, and general tin rattling in aid of St Andrew’s Hospice. Staff enjoyed a St Andrew’s coffee morning on the 28th, and got stuck into shortbread, smoked salmon, oatcakes and dumpling. Many thanks to Mrs Isobel Evans for all her help. 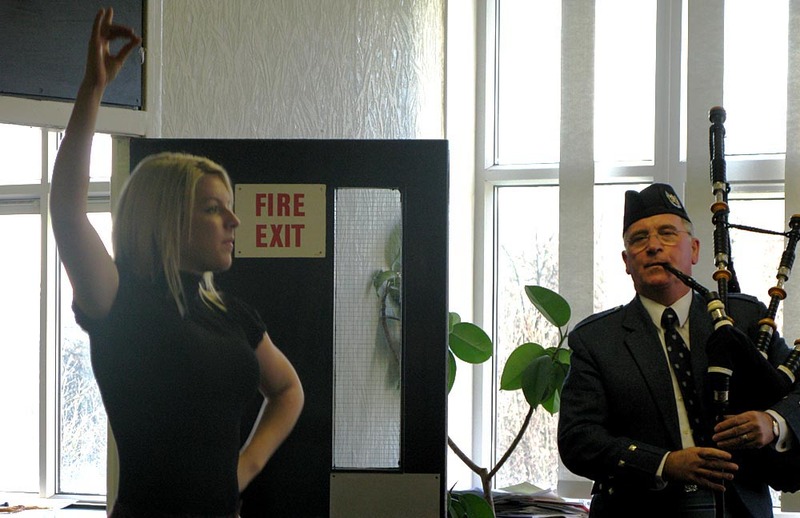 Mr Jim Hughes provided wonderful piping throughout the morning, much to the delight of the pupils flocking round him. Mr Hughes also provided music for three 6th year pupils, Shelby Gilfillan, Natalie Curran and Cheryl O’Connor, who volunteered to dance a beautiful Highland Fling. The total raised from all events so far is £365, which will be donated to St Andrew’s Hospice.